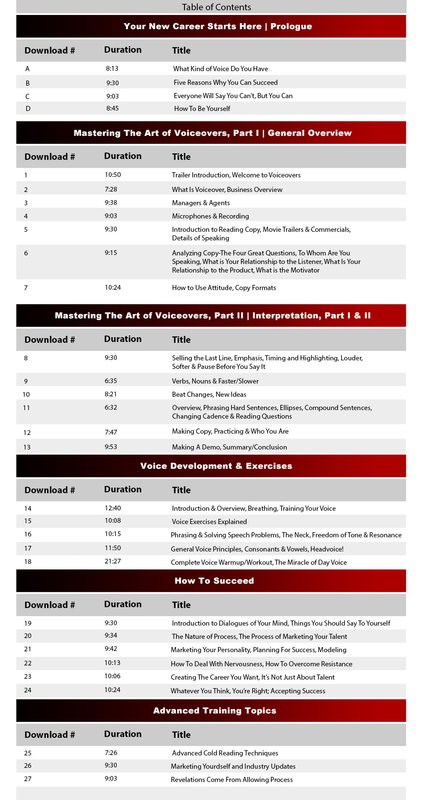 Complete Home Study Course To Start Your Voiceover Career. 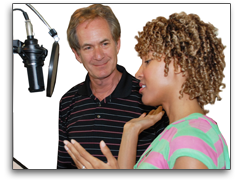 Now professional voiceover training is downloadable and affordable. Get the nationwide best-selling Home Study Course as MP3 downloads from our store. Learn how to practice, how to be more creative, and most importantly, how to maximize who you are vocally to get that job. Find out how to use process to create revelations about how to use your voice and much more. 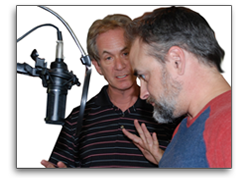 There has never been a better time to break into the lucrative world of voiceovers, or improve your speaking and presentation skills for that job interview or big pitch. And here's the perfect way to train. Combine your download lessons with weekly hour phone coachings with Dan on Skype (just $100 per session). Start your career training today no matter where you live.